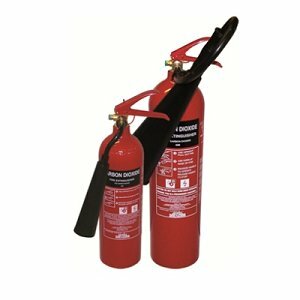 DOES YOUR BUSINESS NEED FIRE EXTINGUISHERS? 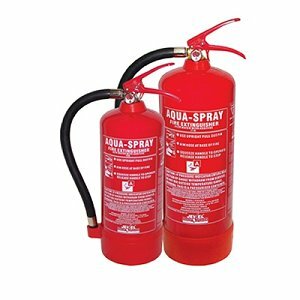 The government guide lines suggest that even a oneroom shop should have a least one powder extinguisher. So the answer is – Yes, your business does need fire extinguishers. Water fights 'Type A' fires - solids, e.g. wood, paper, plastic, sugar, upholstery etc. It works by cooling and removing heat. Foam fights 'Type A & B' fires, solids e.g. wood, paper, plastic, sugar, upholstery etc. as before PLUS flammable liquids. On Type A fires it works by cooling and removing heat on Type B fires it works by forming a film over the surface of the liquid and excluding oxygen. CO2 fights electrical fires and flammable liquids. It is an asphyxiate and removes oxygen effectively smothering the fire. One of its main advantages is the complete lack of mess after use. It can also have a cooling effect and could be used to fight 'Type A' fires. 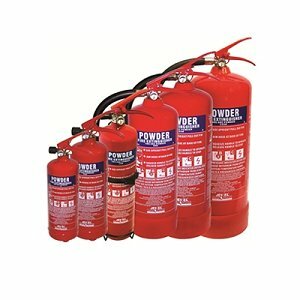 Dry Powder is a multi-class extinguisher and as such is very popular. It will fight: solids, flammable liquids, flammable gasses and electrical fires. There are however certain drawbacks to consider: It has little or no cooling-effect so reignition can be a danger but its biggest drawback is the mess it leaves behind. 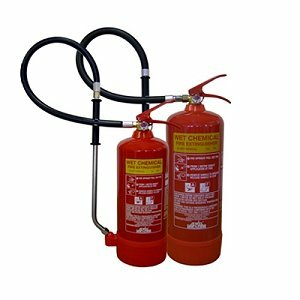 DO YOUR EXTINGUISHERS NEED SERVICING? The maintenance cycle for extinguishers should consist of a Basic service by a Competent Person, conducted on an annual basis. CO2 extinguishers have a 'Basic Service' annually and then at ten years they must be hydraulically tested, which last’s for a further ten years. 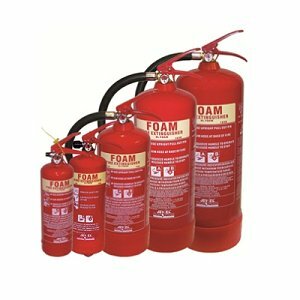 All other types of extinguishers require a 'Basic Service' annually and on five-year intervals they require an extended service every 5 years. An extended service involves completely discharging the extinguisher, inspecting the internal body casing, refilling, re-sealing and recharging. For a no obligation quote on either the supply of new equipment or the servicing of your exsisting extinguishers please contact us.